Hi, my name is Aria, I'm new to the forum and to scuba diving. I am really passionate about the history of diving and vintage diving equipment and I came here in order to learn a bit more about this. 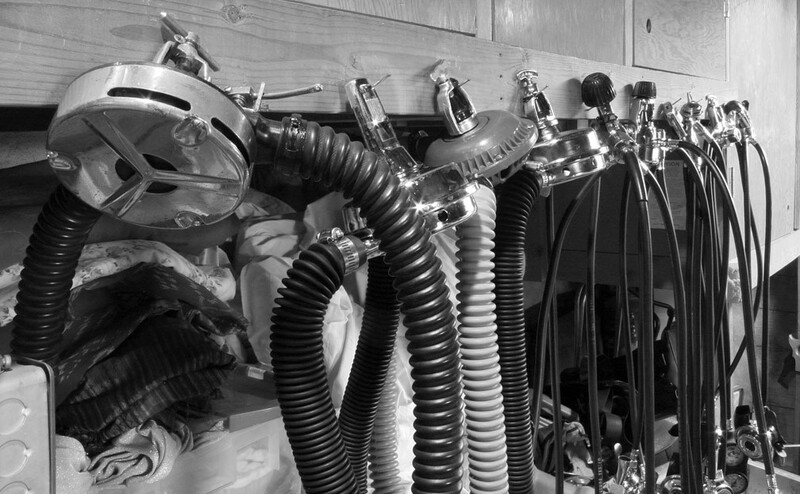 The one in front is a Divair: it was made for Healthways and is the third generation of the very first made-and-designed scuba regulator in the U.S.! 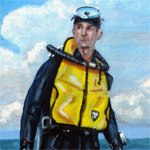 I can relate in that I joined this forum before I got my Open Water Cert. Like Jay Bird said, there are a few of us who are into the "lesser known" gear makers. Here is a photo of Cousteau's very first regulator, a home-made job designed by both Cousteau and Emile Gagnan, who was working for Air Liquide at the time. The design came from a propane regulator Gagnan had designed for cars to run on propane or natural gas, rather than gasoline during the occupation by Nazi Germany of France during WWII. We have a great community here, and enjoy discussing the old gear. Here is the Cousteau-Gagnan 45 regulator, which is the first regulator marketed in the USA (designed in France though) through U.S. Divers Company. It was known as the DA Aqua Lung regulator.